All St. Mary’s facilities are available for hire and are multi use areas. They are suitable for individual sporting disciplines, team use, group activities and events. For organisers, St. Mary's offers very competitive rates of hire, either as a regular hirer or as a one off. Membership fees to clubs will vary. Costs of hire vary dependent on the facilities, time of hire and frequency. The facility includes a full sized floodlit synthetic 3G surface football pitch which can be divided into three smaller seven-a-side pitches. For more information about this facility, please see our Artificial Turf Pitch page. A modern full sized multi-sport space including a full sized basketball court, a five-a-side football pitch, netball courts, four badminton courts and two indoor cricket nets. 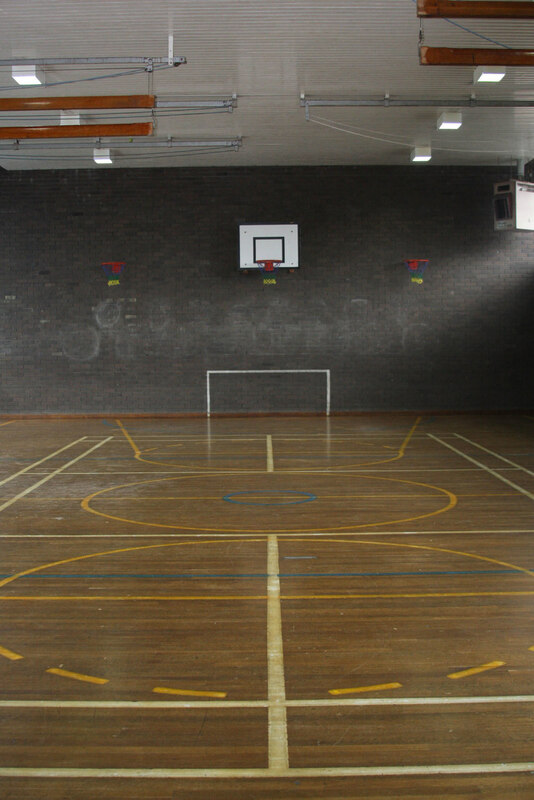 A wooden floored gym with a small basketball court, netball court, badminton court and traditional gym apparatus. A purpose-built performance area with mirrored walls, audio equipment and lighting rigs. A large general space without sport markings but for general hire for meetings and events. The halls have audio equipment and lighting rigs. The hall can be opened into one large area with capacity for 200 seats. Various rooms are available for teaching or meetings including an ICT room with the latest computers and ultra-fast internet connection as well as a Food Technology room. A full sized football pitch, a ¾ sized junior football pitch and two five-a-side pitches. 3 separate enclosed 'Hard Surface' Courts with floodlights.